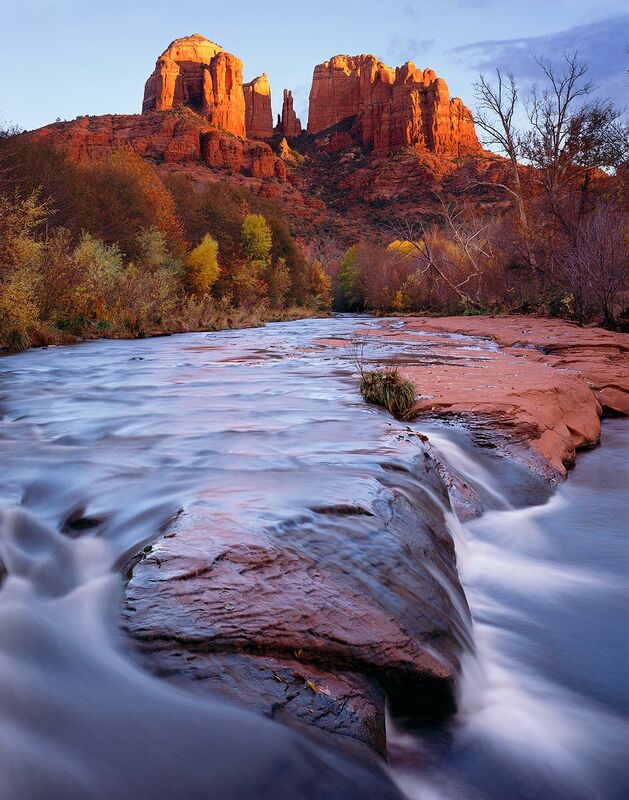 Willows, cottonwoods, and sycamores show their colors at the peak of fall along the bank of Oak Creek as it cascades beneath the famous Sedona landmark Cathedral Rock at sunset. I live near the headwaters of Oak Creek and consider its meanders my extended home. I love this particular cascade for its contrast between the moving and the still: cool water brings life to a burning desert while the ephemeral stream shapes everlasting stone.